Well... how do you like my HUGE Olde Green Cupboard header? It kind of smacks you right in the face doesn't it? hahahahahahahaha! I'm trying to make some enhancements on my blog and I decided to start by adding the correct OGC logo.... well, needless to say... it's a bit large! I tried and tried to make it smaller.... no success! Do you think it could be because I have NO CLUE what I'm doing? I see you laughing and shaking your head up and down!!! Never give up... 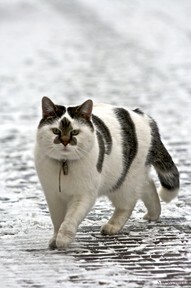 I will get it conquered. I just told myself... it's no big deal...just post your "chat" and figure it out later. If all else fails.... I'll have my sweet Heather help me. She's a guru with this stuff...not afraid to push buttons - explore - read (I hate to read all of those instructions..) and then she manages to figure out how to make things happen! Ahhhh...... LOVE HER!! Yesterday I ALMOST FINISHED MY FIRST SOCK!!! Yes... I have to get them finished before August when we head to Alaska. I want to wear them! My toe is almost CLOSED... then I can start on sock number two. 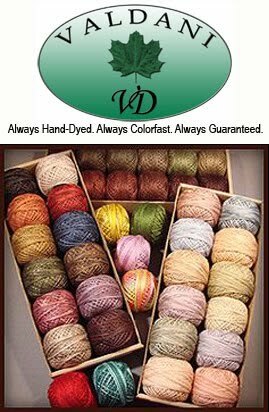 I just love them.. the yarn is so wonderful. As soon as it's off the needles...I'll take a photo and post. This is so cool!!! They had this on a "camping" posting... they've taken a headlight and strapped it to a jug full of water. 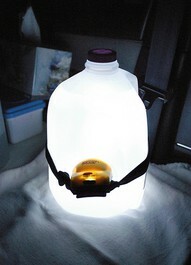 It illuminates the entire jug and gives you light in your tent!!! Now... by headlight... I think they mean one of the battery operated headlights you can wear on your head while hiking, working on car engines, etc. Isn't this a wonderful idea??? So darn clever!! I LOVE galvanized stuff. Don't ask me why... I have no clue as to why it attracts me. Maybe because it can blend in well with different types of decorating. Well... old washtubs are especially favorites of mine!! 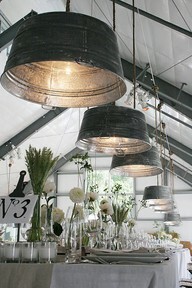 Look how they have taken the GIANT washtubs and made them into lighting! Wouldn't this be awesome in a restaurant or bar? Have I posted this before?? It especially looks great with the white and green accents on the table. How inexpensive this project would be! Then... on a smaller scale... look how they have made this into a lamp shade for a table lamp! Then you can write on it with chalk! SO COOL!!!!! Look at my new Annie I found. Poor baby... it looks like she's been run over with a car tire! Or stomped on in the mud. I don't care... I still think she's adorable!!! Don't you just love her little dress?? 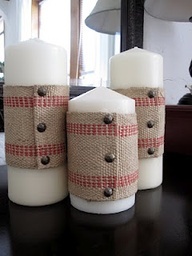 Okay... another wonderful trend I've been seeing... using upholstery jute tape for other things than chairs and couches! 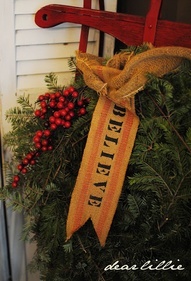 I love how they've used it as a ribbon on this wreath...then attached it to a bright red sled! 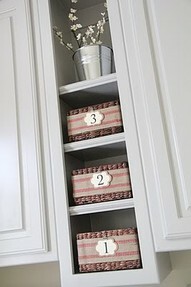 Or... wrap it around wonderful baskets - add some trim - in this case ceramic numbers - and you have an adorable new display. How simple... how cute! And... look at this! How simple! Wrap it around candles, fold the raw edge under and attach with upholstery tacks! OMG!!!! Can you see a beautiful display with these at Christmas - sitting in an old dough bowl... with greenery spilling over the side... red berry garland inter-twined within the greenery... maybe an old antique Santa sitting in the bowl. I'M IN LOVE!!!! Maybe we should have a "JUTE TAPE" contest... to see who can make the coolest stuff! It comes in all colors....! Search the Internet... you'll find it! Go to your local upholstery shop and see if you can buy some from them! Have FUN and CREATE!!!! Then... on the more "blingy" side... take a peek at this sweet thing!!! I don't know if it's real or not... don't even care... I just think it's so cool. Wow... I can jump from "industrial metal" to "jute" to BIG BLING really fast can't I? 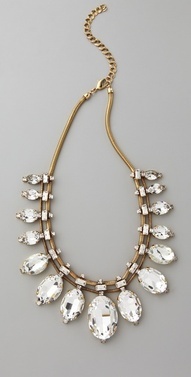 Pretty unusual to like the rustic and the necklace below. Oh well...what can I say? That's just me!! And last but not least.. look at this sweet kitty! Don't you just LOVE his little face? It looks like a starfish has clasped onto his head for life... or a giant **asterisk** exploded in front of him! What a cutie!!!! We're going to visit our oldest granddaughters today. They just moved into an adorable house together and we're taking them a brand new set of POTS & PANS - bright red! I can't wait to see how they have their little house all put together (Toby and Dayle's girls - Jaimi and Elizibeth). They are a couple of cutie patooties... and we love them to death!!! 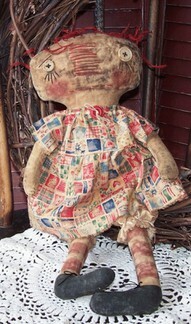 Have a great weekend... sew lots (I plan on it!) and finish up those UFO's!! !